Commercial advertising has had time to form in the mass consumer the extremely positive image of alcoholic beverages. Watching informational video of a hot drink, you can decide if alcohol is really able to give people all the creature comforts: weight in society, attractiveness, sociability, looseness and even financial success. Needless to say that such advertising – it’s just a tricky commercial move using psychological techniques, which aims to increase the earnings of producers of alcohol? Alcohol problem is exacerbated by the fact that often that alcohol, which is advertised on TV, in the streets and on the Internet, is not of sufficient quality. While alcoholic beverages of high quality that are used in small doses, can have a negative impact on health, the intoxicating poor quality, even in small amounts can affect the health of the drinker in the worst way. It is worth remembering that alcohol – a substance that gives rise to the further development of those diseases which are at an early stage. 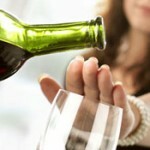 In addition, alcohol negatively affects the chronic illnesses, aggravating them. Brain, liver, kidneys, heart and blood vessels – this is not a complete list of those bodies which alcohol enters the body, acts detrimental. Besides unconditional harm to major organs and systems of alcohol can also cause allergic reactions of varying degrees of complexity. On the existence of an allergy to alcohol is known not for everyone, but this information is important because it allows early detection of adverse effects of alcohol and to avoid further use of alcoholic beverages. Allergy is called a condition when the body has an increased sensitivity to a substance. As a rule, an allergy begins to develop when allergens, which reacts body, affect the body again. Experts report that an allergy to alcohol – a phenomenon that is very common. The manifestation of allergic reaction caused by the fact that, to the alcoholic beverages that people consume, contains ethyl alcohol. acquired an allergy to alcohol. The occurrence of anaphylactic shock indicates a strong manifestation of an allergic reaction to take alcohol. The second type of allergy – acquired allergy to alcohol – most often occurs when the patient uses the spirits of poor quality. Allergic reactions after poor quality drink dictated by the negative effects of dyes and other chemical compounds that are in the beverage composition. As a rule, if such alcohol is taken rarely, the patient may not pay attention to the fact that after a glass of brandy on the feast he develops an allergic rash on the neck, arms or face. Patients often come to the conclusion that they were having an ordinary food allergy to those products that were in abundance on the holiday table. Sulfur dioxide – a substance that gets into alcoholic drinks with grapes. The fact that in the farms where the grapes are grown, vines are treated by this chemical. In addition, this chemical is used in the process of production of wine (to stabilize the wine mash). It is known that sulfur compounds that remain in the finished product and are capable of causing some people the strongest manifestation of an allergic reaction. Anhydride – is not the only chemical that together with grapes can get into the wine. Pesticides used in the cultivation may also be in the finished product, and to provoke an allergic reaction. Pesticides – are substances that are used not only for growing grapes but also in growing other crops, of which later produced spirits. That is why it is extremely difficult to avoid the appearance of allergic reactions if a person is not allergic to ethyl alcohol, but a reaction to pesticides. Alcoholic beverages are a low quality factor of allergy also because they contain herbal supplements that can provoke a reaction. Do not expect that alcohol at a low price will consist of high-quality components that will not adversely affect the body, and will protect the drinker from an allergic reaction. Falsified drinks often contain ingredients that are not only harmful but also incompatible with life. The essence of developing an allergy to a particular product is that it usually requires considerable time on appearance. People from time to time drink, can not even imagine what recurring minor weakness – symptoms of alcohol allergy, which is progressing. Drinking on birthdays or corporate parties, the patient often notices skin irritation or drowsiness, however, as has been said above, it withdraws to the food was eaten or general fatigue. Thus, an allergy develops slowly in the body, bringing him harm after each drunk glasses. As a rule, originally symptoms that the patient has an allergy are mild, but with each new dose of received alcohol may grow these symptoms stronger, becoming more pronounced. Developing allergy with each new attack has become more and more negative effect on the body. Furthermore, the patient may begin panic attacks. Most people can not figure out what the thing is, even when much time to develop an allergy. Sometimes, all blamed on gastric infection or nervous exhaustion, continuing to consume alcohol for various holidays and festive occasions. As can be seen, all the above state is extremely dangerous. It is known that anaphylactic shock – it is an immediate reaction to an allergen, which is manifested in different ways: it may be five seconds after receiving an allergen or a few hours. The danger of anaphylactic shock that approximately 20% of the cases death occurs. Statistics illustrate that the percentage of occurrence of such an immediate reaction to alcohol as anaphylactic shock increased over the last decade, which suggests higher consumption of alcohol on the population of background inattention to the body’s own reactions. Ambulance, which gets to the patient within half an hour after the onset of anaphylactic shock or other conditions described above, is able to save the patient’s life, but if the delay is longer, the human life is under direct threat. 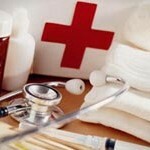 In addition, the effectiveness of medical care also depends on how hard the condition of the victim. If every time the feast of the patient showing symptoms characteristic of alcohol allergy, it’s a serious reason to think. In addition, it is important to constantly monitor their own health, to be able to track the occurrence of unhealthy and not typical for a healthy body states. If the patient noticed itching, redness, and weakness, you should exclude the occurrence of allergy delicacies that were eaten at the holiday table. We must not forget that the allergy can often also occur because of food consumed on the holiday, which we rarely eat every day. In cases when the patient develops redness after the injection, and it is worth considering. The fact that this may not always be a reaction to an alcohol, which is processed by the injection site. The composition of the solution, which is used in medical institutions often also includes boric acid or salicylic acid, which can cause allergic reactions themselves. Often an allergic reaction in the form of redness – is a response of the autonomic system on alcohol intake. It is well known that the autonomic system is responsible for the skin and blood vessels and regulates their status (tone and sensitivity). That is why such a manifestation of the autonomic system may also be a signal to the fact that they consume alcohol is contraindicated. What to do with alcohol allergy? If a patient is suspected at the symptoms of allergy to alcohol, he can conduct an experiment to determine whether allergy occurs after drinking. In that case, when fears were not confirmed to be found the root of the problem in the other. When allergy symptoms are causing significant discomfort, it is better not to experiment with drinks and immediately consult a doctor who will help determine the cause of discomfort. Received positive test results for allergies, the patient may or completely eliminate the use of alcohol, reducing the risks to a minimum, or to adhere to the rules, which are described below and will help to minimize the harm to health from drinking intoxicating beverages. exercise care, isolating the kind of beverage, which causes allergy. Experts report that not every kind of alcohol is able to provoke an allergic reaction. Patient, it is important to understand what his body reacts and completely abandon the use of this class of alcoholic beverages. The patient, who noted that the negative reaction comes after he repeatedly used the same drink, should abandon the use of this drink forever. Remember that consuming a drink that is an allergen, the patient is digging its own grave. If it has been observed that an allergy is present on the spirits, it is necessary to abandon the use of multi-component products, such as tequila and whiskey, and even moonshine. In this case, we can try to move to cognac, which usually causes no such reaction. The plus cognac for those who are allergic to alcohol products of the complex composition is that it contains a considerable amount of tanning agents that are capable of lowering the permeability of the intestinal barrier. This may just be the tool that will allow not feel discomfort after drinking. 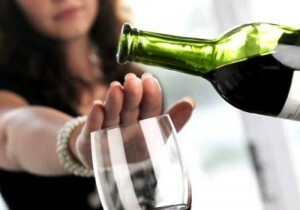 In any case, we should not forget that the moderation in the drinking of any alcoholic beverage is the key to success. In the case of an allergic reaction occurs irregularly and you can not find the regularity of its occurrence, it is necessary to pay greater attention to the foods that nourish because the cause of the discomforts and dangerous symptoms may lie precisely in the diet. Guided by logic, you can exclude a particular product, watching how the body reacts to the lack of it. Any patient who is tied to the taste of your favorite alcoholic beverage, which he used to have over the holidays, probably wondered how to treat a diagnosed allergy to alcohol. Recall that the surest way to cure allergies and any of its unpleasant symptoms – it is a complete abstinence from alcoholic beverages. If the patient has a psychological attachment to alcohol, it is necessary to treat addiction, using the full range of psychological and medical methods. Decide how best to treat the psychological attachment to alcohol, will help an experienced specialist. Some patients ask how to treat allergies so that the unpleasant and dangerous to the health of the symptoms disappeared completely. 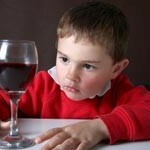 Experts report that complete cure alcohol allergy usually impossible. The only method of wide fencing yourself from allergies – it is a complete abstinence from intoxicating. 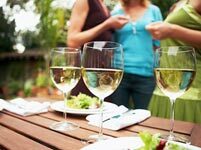 It is especially dangerous to drink alcohol to those who are dependent on alcohol, because, in such cases, allergies can manifest itself in its most extreme form if I have a binge. doctor can prescribe effective treatment associated with the cleaning of the liver, the whole body, as well as taking antiallergens. The patient who is found alcohol allergy should consider that the presence of this type of allergy – it’s much better than an allergy to any food or pollen. It’s hard to argue with the fact that alcohol – a product, without which life is possible, whereas allergic to animal hair or eating red food – this is the kind of allergy that delivers significantly more discomfort.